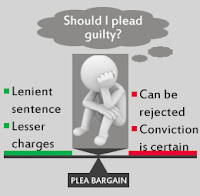 Plea bargaining means pre trial negotiations between the prosecution and the accused during which the accused agrees to plead guilty in return for certain concessions promised by the prosecution, e.g. to recommend a lesser or specific sentence or to drop or reduce some charges. 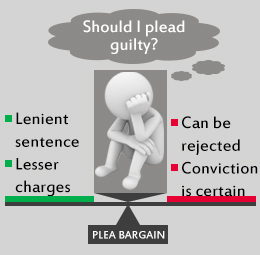 The object of Plea Bargaining is to reduce the risk of undesirable orders for the either side. One another reason for the introducing the concept of ‘Plea Bargaining’ is the fact that most of the criminal courts are over burdened with the number of cases and hence unable to dispose off the cases on merits. 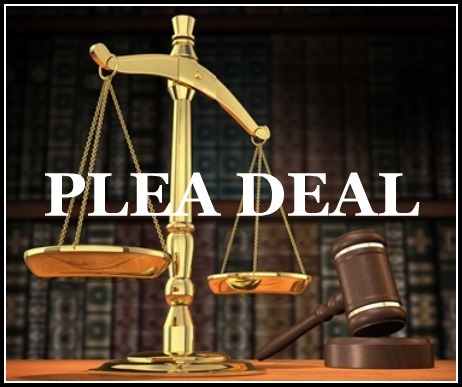 The concept of plea bargaining was widely used in the America but it was introduced in India by way of Criminal Law (Amendment) Act, 2005, when a new Chapter XXI-A was inserted which came into effect from 5-7-2006. Plea Bargaining will not be applicable in respect of those offences for which punishment is above a period of 7 years. Moreover it also does not apply to cases where the offence committed is a socio-economic offence or where the offence is committed is committed against a woman or a child below the age of 14 years. iv. Also if the plead guilty application of the accused in rejected then the accused would be difficult for him to prove himself innocent. Supreme Court in the case of Kachhia Patel Shantilal Koderlal v. State of Gujarat and Another (1980) strongly disapproved the practice of plea bargain again. It observed that practice of plea bargaining is unconstitutional, illegal and would tend to encourage corruption, collusion and pollute the pure fount of justice. Further, the Supreme Court in State of Uttar Pradesh v. Chandrika (2000), held that it is settled law that on the basis of Plea Bargaining court cannot dispose of the criminal cases. Going by the basic principles of administration of justice merits alone should be considered for conviction and sentencing, even when the accused confesses to guilt, it is the constitutional obligation of the court to award appropriate sentence. Court held in this case that mere acceptance or admission of the guild should not be reason for giving a lesser sentence. Accused cannot bargain for reduction of sentence because he pleaded guilty.